Why Is Daily Skincare Important When You Shave? The male skincare industry is one of the fastest growing in the U.S. beauty market, with nearly two thirds of all men surveyed by Mintel saying they use skincare. 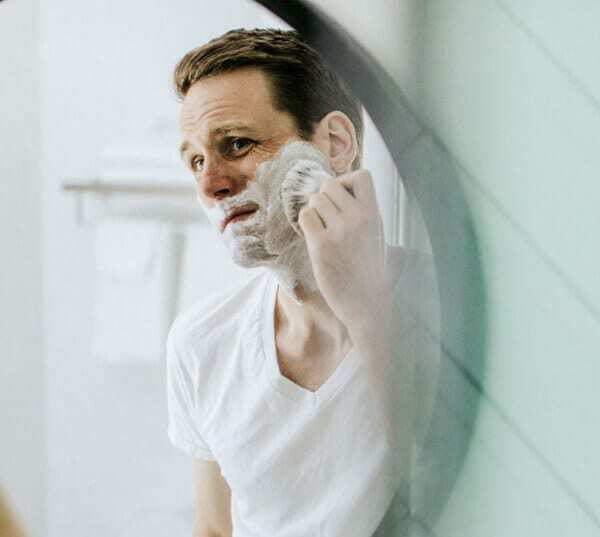 It could indeed be argued that men need regular skincare even more than women, because most shave every day, which in effect exfoliates outer layers more frequently, but which can result in sensitivity if not performed correctly. If you like nothing more than a clean shave but you also want to battle dryness, blemishes, and aging, skincare sets like Face Care Regiment by êShaveⓇwill ensure your skin is smooth and supple throughout the day. Cleansing is important when it comes to clearing out pores; preventing acne breakouts; enabling anti-ageing products such as moisturizers to penetrate the skin; and keeping skin matte. Moisturization is also key to eliminating the terse, dry sensation that can arise when we simply shave without hydrating skin afterwards. Even if you have oily skin, don’t miss out on this important stage of your routine. When skin becomes dry, it tries to compensate by producing excessive oil. The result is that pores become blocked with sebum and dirt, and breakouts can develop. 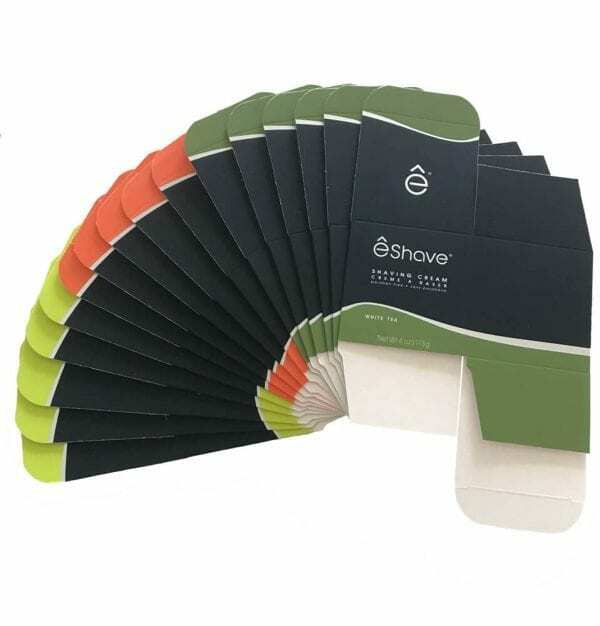 When you shave frequently, you may develop ingrown hairs that wrestle the appearance of smoothness from skin. Ingrown hairs occur frequently in men with abundant facial hair, so if this is your case, prevent the problem from occurring at all. Using a quality scrub after cleansing will help eliminate dead skin cells and get rid of bumps. 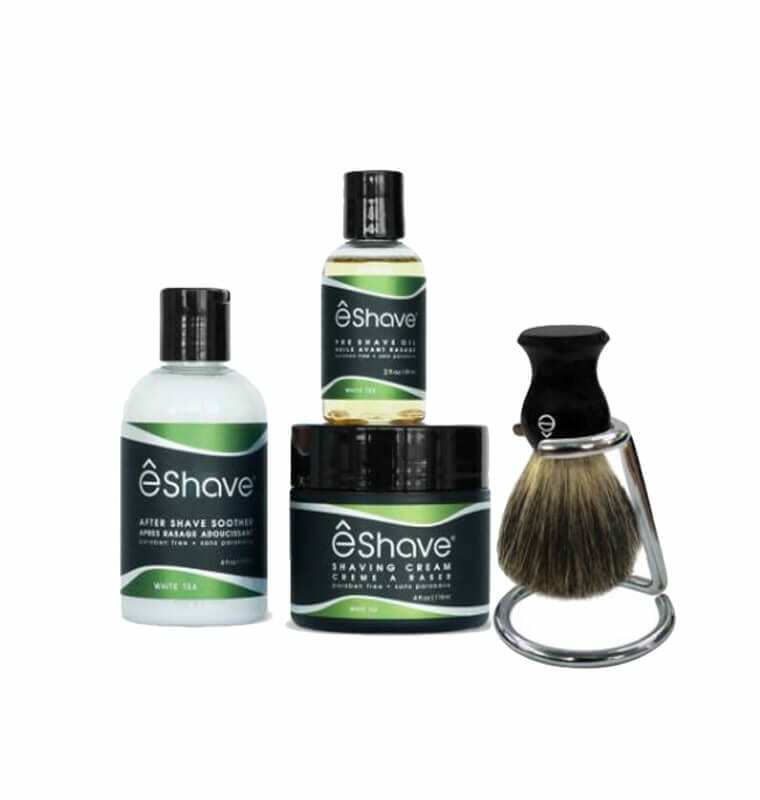 Part of this process should also involve the use of a quality pre-shave facial oil, which will help your razor glide over your complexion. The act of shaving in itself has an exfoliating effect, but using an oil will ensure it does not cause redness, irritation, or nicks. êShaveⓇ’s Bump Relief Duo contains both an oil and face scrub that will ensure you target both stages efficiently every day. Is A Toner Really Necessary? Some men like to use a toner after cleansing and exfoliating, and before applying their daily moisturizer. The short answer to the question of whether or not a toner is vital, is that it depends on your skin type. In general, toners work to remove any remaining products on your face, but also to restore your skin’s PH balance (since cleansers tend to be alkaline, and skin can work to compensate by producing too much oil). Therefore, oily skin tones in particular can benefit from a toner. So can complexions with large pores: toners help tighten/close pores, reducing the penetration of dirt and pollutants. Finally, each toner can be aimed at different skin issues. Some contain moisturizing ingredients, which can be very beneficial to men with mature or very dry skin. Others contain glycolic or alpha hydroxy acids, which help the formation of ingrown hairs. If you really love skincare, then you probably enjoy using a plethora of products, including serums for both the entire complexion and, specifically, your eyes. However, if you’re a busy man about town who wants to keep it simple, then the three-step cleansing-toning-moisturizing should be considered a minimum. Don’t forget to use a good scrub regularly to help your skin shed old cells and reveal the younger, more luminous skin beneath.